That's the best color! Have fun tonight! Enjoy your break, and get well soon. 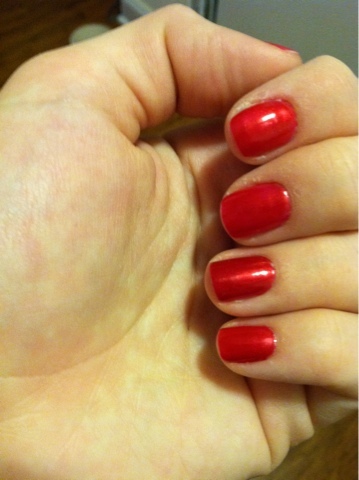 Love the nail color, it totally is the perfect Christmas red! And I never knew that about Seche Vite, kind of funny though that it's only known in California. Love your nail polish. Have fun tonight!! I love that nail color! Hope you're feeling better! Hope get to feeling better soon! Love the red nail polish! Perfect for the Holidays! 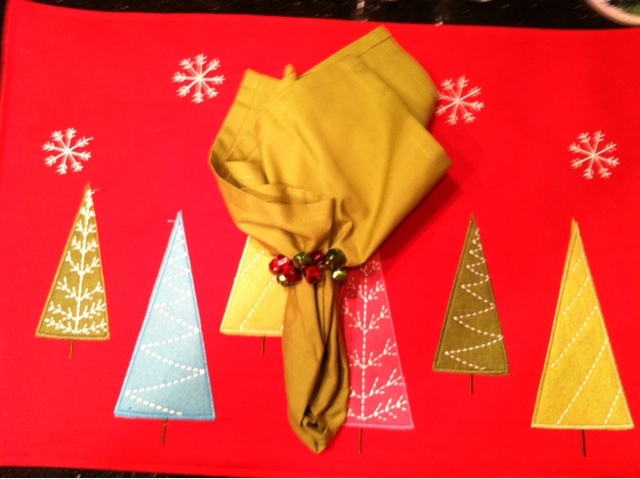 I love love the placemat and napkin. Too cute! Have a good weekend! Sounds like you'll be busy!